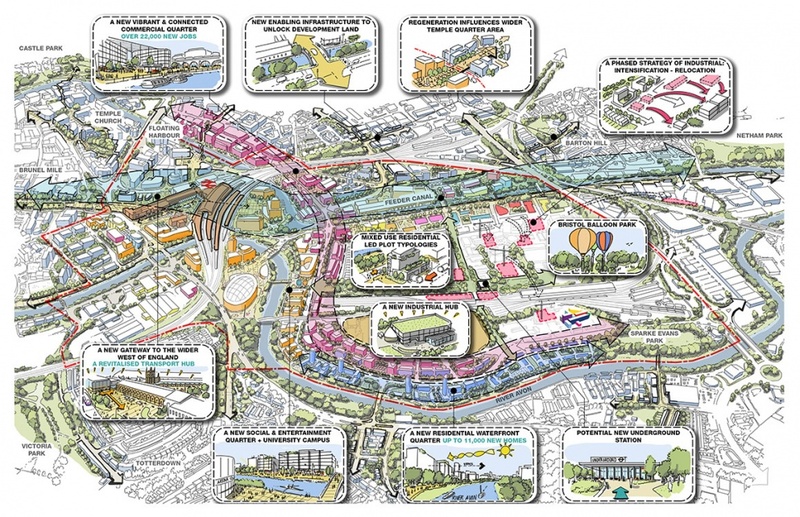 Weston Williamson + Partners (WW+P) has been appointed as lead architect and master planner for the Temple Quarter district of Bristol, which includes Bristol Temple Meads station, as part of a multi-disciplinary team led by Mott MacDonald. The 70 hectare development zone will deliver a new, mixed use city quarter including up to 11,000 new homes. There will also be an improved and revitalised transport interchange and wider transport improvements across the Temple Quarter, which will act as a catalyst to economic and housing growth across the west of England. Central to the work will be the potential for a sensitive transformation of Brunel’s Grade I listed heritage station in order to cater for the anticipated growth in passengers – from 10 million passengers a year in 2018 to 22 million by 2030. As well as potentially significantly improving capacity, access and facilities, the station regeneration, if plans get the go-ahead, could create a world-class pedestrian space and improvements to the existing public realm. 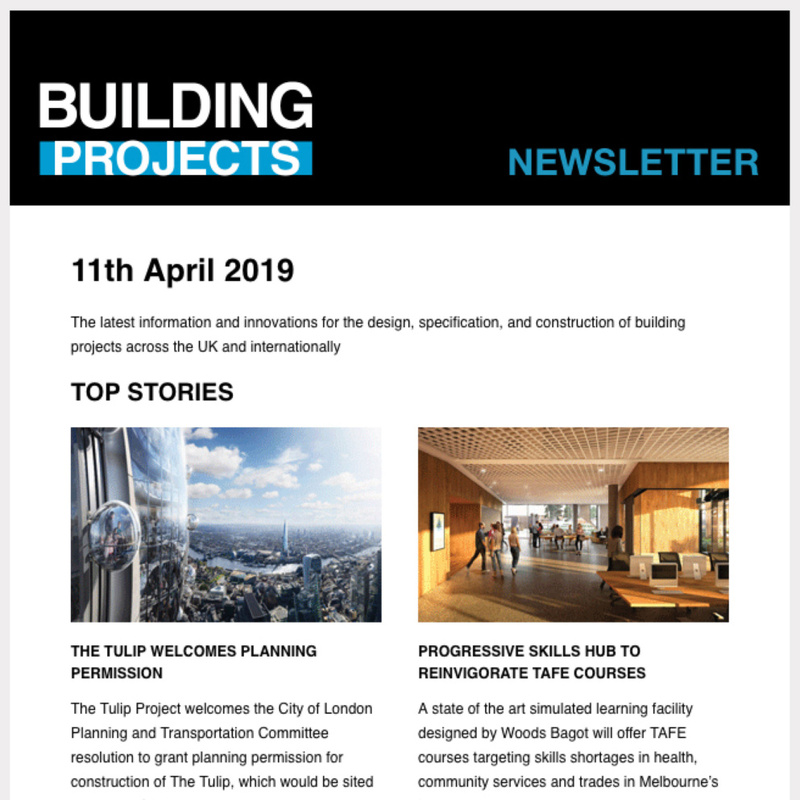 The consortia includes Mott MacDonald, Weston Williamson + Partners, AWW Architects, Alan Baxter Associates, GVA, Deloitte, Turley, TLT and Pragma. 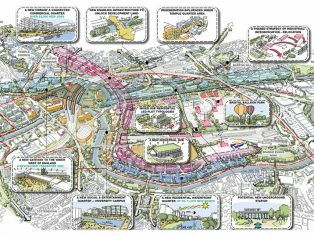 They beat strong competition in a tender process commissioned by Bristol City Council in partnership with the West of England Combined Authority, Homes England and Network Rail. Weston Williamson + Partners brings world class expertise in large scale master planning and architectural design to create a new place with the station at its core. An established track record of place making with Mott MacDonald includes major projects at London’s Victoria Station, Waterloo, Paddington and Old Oak Common. “We are currently the only major UK city without a modern railway station. At long last, that is about to change – thanks to the energy and commitment of the partnership we have brought together. A transformed station will finally give us a railway station fit for the 21st century, acting as a gateway to the West of England. Weston Williamson + Partners is close to final delivery of Paddington Elizabeth line station, a similarly transformative redevelopment of a landmark Brunel station, which successfully balances the complexities of designing adjacent to a Grade 1 listed structure with the delivery of a modern, elegant new station.